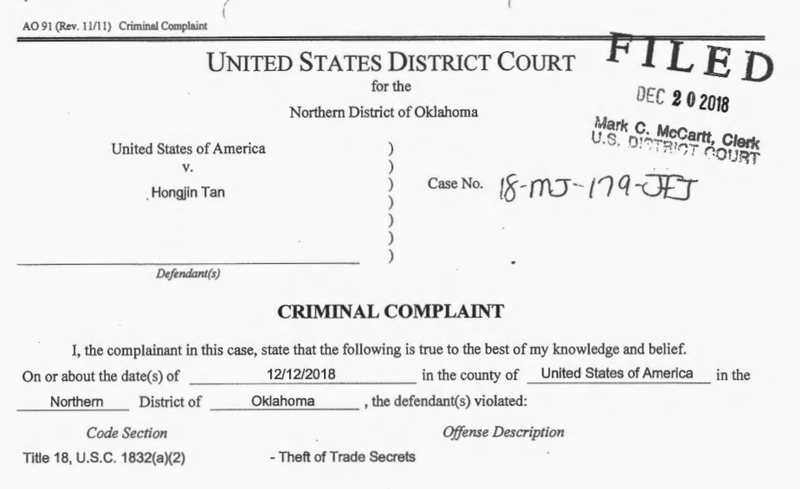 Jack Crook pointed me toward a story by Christopher Burgess about intellectual property theft by "Hongjin Tan, a 35 year old Chinese national and U.S. legal permanent resident... [who] was arrested on December 20 and charged with theft of trade secrets. Tan is alleged to have stolen the trade secrets from his employer, a U.S. petroleum company," according to the criminal complaint filed by the US DoJ. Tan's former employer and the FBI allege that Tan "downloaded restricted files to a personal thumb drive." I could not tell from the complaint if Tan downloaded the files at work or at home, but the thumb drive ended up at Tan's home. His employer asked Tan to bring it to their office, which Tan did. However, he had deleted all the files from the drive. Tan's employer recovered the files using commercially available forensic software. This incident, by definition, involves an "insider threat." 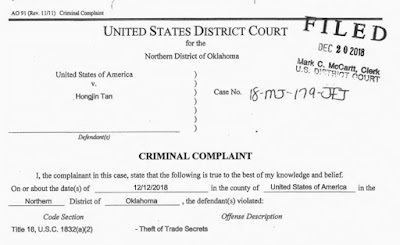 Tan was an employee who appears to have copied information that was outside the scope of his work responsibilities, resigned from his employer, and was planning to return to China to work for a competitor, having delivered his former employer's intellectual property. When I started GE-CIRT in 2008 (officially "initial operating capability" on 1 January 2009), one of the strategies we pursued involved insider threats. I've written about insiders on this blog before but I couldn't find a description of the strategy we implemented via GE-CIRT. We sought to make digital intrusions more expensive than physical intrusions. In other words, we wanted to make it easier for the adversary to accomplish his mission using insiders. We wanted to make it more difficult for the adversary to accomplish his mission using our network. In a cynical sense, this makes security someone else's problem. Suddenly the physical security team is dealing with the worst of the worst! This is a win for everyone, however. Consider the many advantages the physical security team has over the digital security team. The physical security team can work with human resources during the hiring process. HR can run background checks and identify suspicious job applicants prior to granting employment and access. Employees are far more exposed than remote intruders. Employees, even under cover, expose their appearance, likely residence, and personalities to the company and its workers. Employees can be subject to far more intensive monitoring than remote intruders. Employee endpoints can be instrumented. Employee workspaces are instrumented via access cards, cameras at entry and exit points, and other measures. Employers can cooperate with law enforcement to investigate and prosecute employees. They can control and deter theft and other activities. In brief, insider theft, like all "close access" activities, is incredibly risky for the adversary. It is a win for everyone when the adversary must resort to using insiders to accomplish their mission. Digital and physical security must cooperate to leverage these advantages, while collaborating with human resources, legal, information technology, and business lines to wring the maximum results from this advantage.